It's Chelsea: Best Mineral Face Powder for a NATURAL Finish! The product I want to tell you about isn't a new on the market, nor is it particularly fancy. 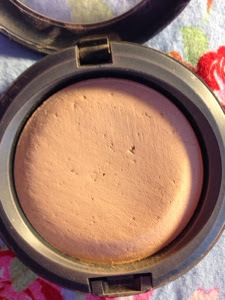 But if you're looking for a powder that you want to use to set your makeup with and opting for a natural look and shine free.... Or if you have next to no blemishes (I'm jealous) and only have 10 minutes to get ready in the morning, you can brush this over your face so it's not completely naked - then this is THE ONE. 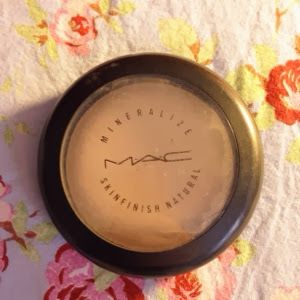 MAC Mineralize Skinfinish Natural is the best face powder I have ever tried. 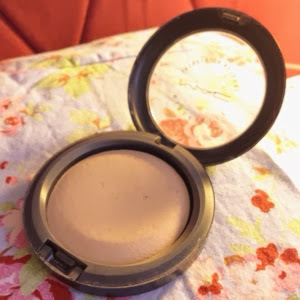 I can tell you now that I haven't used any other powders other than this for the past 5 or 6 years. Well, I have but I always always return to this one as the others just can't compare. I am in the shade Medium Plus and it is the perfect colour for me. I apply my BB cream and then leave it to sit for a few minutes before I dust the mineral powder on my face with my Real Techniques Powder brush (Which is also amazing by the way). This powder has the power of making your skin look poreless and smooth but makes it look like you have flawless skin. My skin seems to look better after one or two hours after I've applied face makeup for some reason but I do have to re apply powder once or twice during the day to keep it looking fresh. I'm so excited to try the mineralize blushes from MAC now after I've seen quite a few blog posts up about their new collection for Spring!